Ben is an ecologist with 20 years experience. He leads TERN Adelaide; the Terrestrial Ecosystem Research Network ecosystem surveillance monitoring group based at The University of Adelaide. He has skills in community engagement and citizen science application development. He researches ecological surveillance monitoring to detect environmental change; with skills in methodology development, delivery of systems to support environmental information dissemination, and team leadership. Robert wrote the well known South Australian orchid publications Start with the Leaves and South Australia's Native Orchids DVD 2011. He is the former chair of the Native Orchid Society of South Australia (NOSSA) and with other orchid enthusiasts he routinely conducts orchid surveys & monitoring. He will support community engagement in WOW by working with and providing guidance to orchid enthusiasts and amateur naturalists Australia-wide. Rosalie has a passion for education about orchids and regards them as a fascinating means of discovering the complexity of the natural world. She supervised the sub-editing of South Australia's Native Orchids in 2011 and is webmaster for the Native Orchid Society of South Australia Inc. (NOSSA), where she is always on the lookout for interesting items on orchids for weekly posts. She has developed a network of orchid experts and enthusiasts across Australia who have checked and contributed to the content of these posts. She enjoys making orchids understandable to people with little knowledge of them. Katie has a background in rainforest ecology and marine ecotourism. She has experience working with community groups and volunteers to deliver a variety of citizen science projects. Do you have WOW questions? Contact us here. Andrew is a highly-qualified professional with broad-ranging experience in state-of-the-art research, system design and implementation, user-centric design and project management. Andrew has worked on Citizen Science projects for many years. His experience with the design and development multi-platform apps make him well placed to lead the technical development of this project. Greg is a researcher with expertise in community ecology, vegetation science and plant diversity. Greg's research has involved mapping regional biodiversity, exploring the climate sensitivity of regional ecosystems and interpreting continental patterns of vegetation structure and composition. Greg is also active in the development of software for the compilation and analysis of ecosystem data. He has past experience working with community environmental groups and as a citizen scientist. Sally coordinates and contributes to science projects at TERN Adelaide, developing new survey protocols, and liaising with researchers using TERN plant and tissue specimens and soil samples. Sally is an ecologist with a diverse range of practical skills and experiences and a passion for monitoring populations. Caleb has managed various facets of finance, logistics and human resources for TERN at the University of Adelaide since 2009. He keeps everything running smoothly for the WOW team! 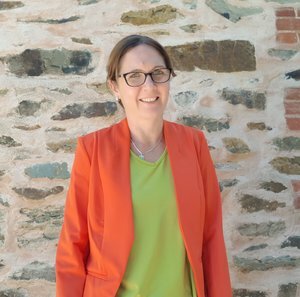 Sam has worked in the broad field of Environmental Education for over twenty years for a number of government and non-government organisations including TAFE, local council and the Department for Environment and Water. Sam is an active volunteer for Experiencing Marine Sanctuaries, the Adelaide Dolphin Sanctuary and the Earth Hour program. Sam has received specialist training on the impact of climate change on sensitive ecosystems and brings this knowledge and awareness to the role of PhD candidate for the WOW project.